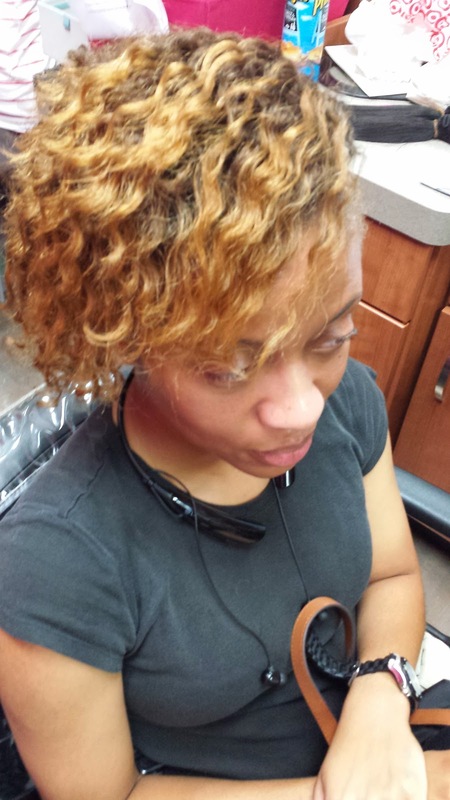 This is a client who does not have a relaxer and is on the last leg of her keratin treatment. She has a job that demands a lot of physical activity therefore having it straight is really not an option for her unless she is off. Today she wanted to try a twist set in hopes that it would last a bit longer than wearing it just straight. Silk Hydration by L. Jones Extreme Clean Shampoo. She likes to put product in her hair so I used this shampoo twice to make sure I started with a clean slate. Next I conditioned it with the Silk Hydration by L. Jones Intense Moisturizing Treatment before applying the leave-in conditioner. 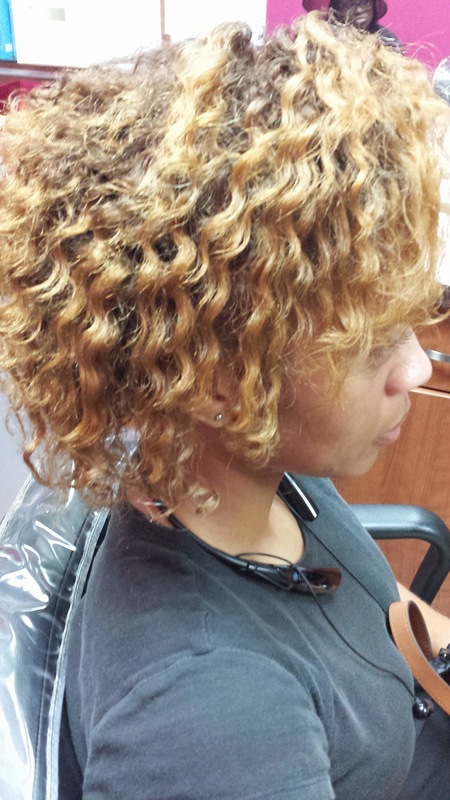 While the hair was wet, I applied Nairobi foam wrap and twisted the hair flat to the scalp. 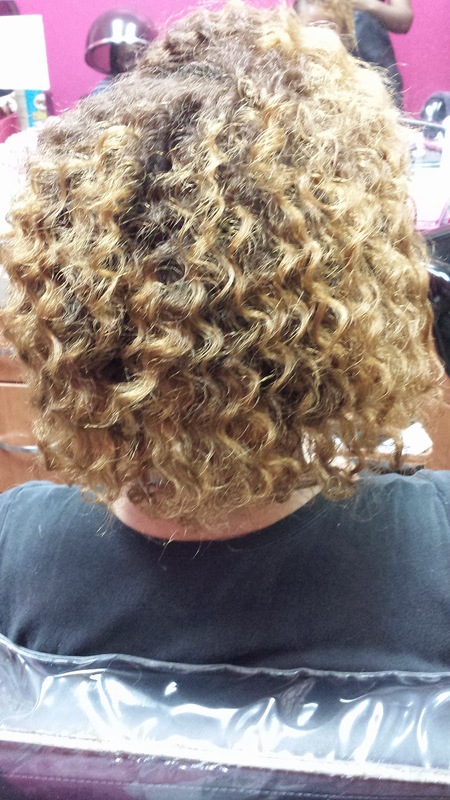 I twisted it straight down in small sections and had the front twisted more towards the face.. It took her an hour and a half to dry (which is actually good considering it normally takes people a minimum of two hours), and once she was completely dry I simply untwisted it. 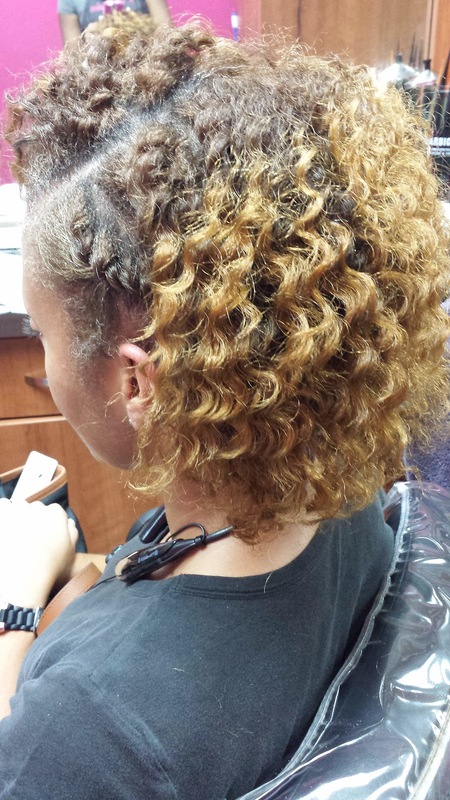 To maintain this look, she can re-twist it at night to make it last longer. If that is not a possibility she can also put a satin cap on, however, the satin cap option will not keep it as defined. She can apply oil as needed.